If you are looking for quality cookware and accessories, you have come to the right place. Clear Choice Cookware is a brand that aims to provide its customers with high-end products that will improve their cooking experience. At Clear Choice Cookware, we realize how difficult it can be to cook meals so we design products that will help our customers cook and grill foods without any hindrances and drawbacks. Take our Clear Choice Cookware Grill Basket for example. The handy grilling basket is designed to prevent foods from falling through the grate. Everybody loves grilled meat and vegetables, but the cleaning process takes so long, and it’s easy to get a burn. This is where our Grill Basket comes in. All you have to do is chop up the ingredients and put them in the grill basket. The nonstick design prevents the food from sticking, keeps your food separated from the grill and makes cleanup easy and quick. When it comes to choosing cookware, you have a range of options to choose from. 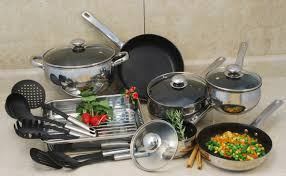 Cookware largely is comprised of cooking vessels. This includes saucepans and frying pans which are intended for use on the stove, oven or cooktop. Clear Choice Cookware aims to provide its customers a range of excellent cookware that is not only high quality but also durable and long-lasting. Copper is not only used for making pennies, the handsome metal is known to heat quickly and evenly. However, in terms of price, it is a luxury most people cannot afford. Think of copper as an expensive sports car. Even though it is fancy and brilliant, it is costly and requires high maintenance. Cookware made from copper needs to be polished regularly to look its best. In addition, regular use may result in tin lining and may even leave you susceptible to copper poisoning. So, it’s safe to say that while copper looks great, it is expensive and probably not the best material for saucepans and pots that will be used regularly. Aluminum cookware is often a favoite. It is lightweight, heats well and is resistant to corrosion. However, when it comes to choosing pots and pans, it is advisable you choose cookware with a protective anodized coating. Uncoated aluminum may react with acidic foods, and the harmful chemical may leech inside your food. Nonstick frying pans can be coated with a substance called polytetrafluoroethylene (PTFE). This prevents foods from sticking to the surface of the pan. Hence, coated pans are easier to clean as compared to non-coated pans. Here at Clear Choice Cookware, we offer our customers non-stick products that have all the benefits of the old style nonstick pans and baskets but are PTFE-free, and FDA and EU approved, because we care about your safety, health and cooking experience. Probably the shiniest of the lot, stainless steel frying pans and sauce pans are fairly common. Stainless steel cookware is resistant to corrosion and is non-reactive, so you do not have to worry about toxins finding their way inside the food. In addition stainless steel is durable and resistant to scratching and denting. However, one of the drawbacks associated with stainless steel products is that they are poor conductors of heat and the food will not cook as well in them as compared to other materials. Another downside is that heating can cause discoloration and ruin their appearance. Whether you are new to cooking or have been cooking for years, it is important you follow guidelines for proper food preparation. Proper preparation generally requires proper selection, the right measurements and following the right procedures. 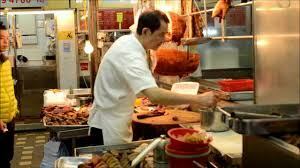 To prevent food borne illnesses, it is essential you wash all the produce and meat carefully. Also make sure you wash your hands prior to cooking as it will help get rid of harmful bacteria. It is essential you use the correct equipment while preparing food. You should know the difference between a frying pan and a saucepan and how to use the two for creating different dishes. For cooking, it is also essential you use the correct appliances. For ideal results you need to know when to use a microwave, a grill and a slow cooker. Many people undervalue the importance of using kitchen or cooking thermometers. To ensure you are feeding your family food that is cooked properly, you need to know for sure the food has been cooked at the correct temperature. Some foods, such as meats, need to be heated at an optimum temperature to destroy harmful bacteria and parasites that may result in food borne diseases. In addition, cooking thermometers come in handy while grilling meat and baking goods inside the oven so you do not overcook or undercook your food. All in all, choosing the right cookware can make a world of a difference to the food you make. You might feel the ingredients are what matters, but even the freshest and tastiest ingredients cannot be made into a sumptuous meal without the right equipment on hand. And this is where Clear Choice Cookware can help you out. All the utensils and equipment we offer are of the highest quality and will make cooking a breeze for you. Not to mention, we make sure you don’t have to break the bank to get the best in cookware for your kitchen. So, buy your cookware from us and take your cooking to the next level.